Hello! It's been a while hasn't it? I took a break from the blog to get married and go on to honeymoon (just a small life change!). But now that I'm married, and it's almost Christmas(i.e. 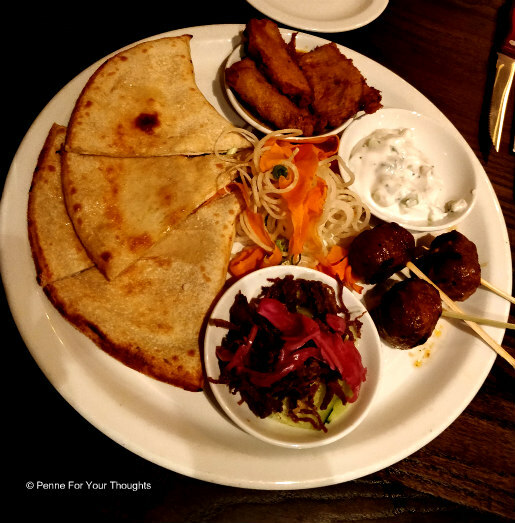 acceptable to get a bit chunkier) - it's time to start blogging about food again, so when I was invited to try out The Green House in Sutton Coldfield, I said "yes please!" The gastro-pub has been recently refurbished and looks super swanky inside now. There was nothing particularly wrong with it before, but now it looks stylish and modern and they've made much better use of the space - meaning more tables for dining and a cosy new bar area to relax with a drink. 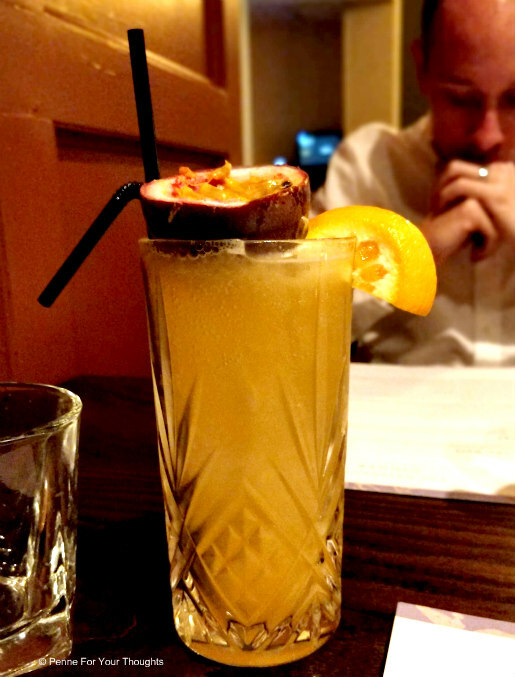 Speaking of drinks - the new drinks menu boasts new cocktails, mocktails and gins to try. I started with a Blood Orange & Passion Fruit Collins cocktail - which was delicious and one the waiter recommended to me as a gin fan. Unlike a lot of passion fruit cocktails it wasn't overly sweet which made it a good dinner accompaniment. 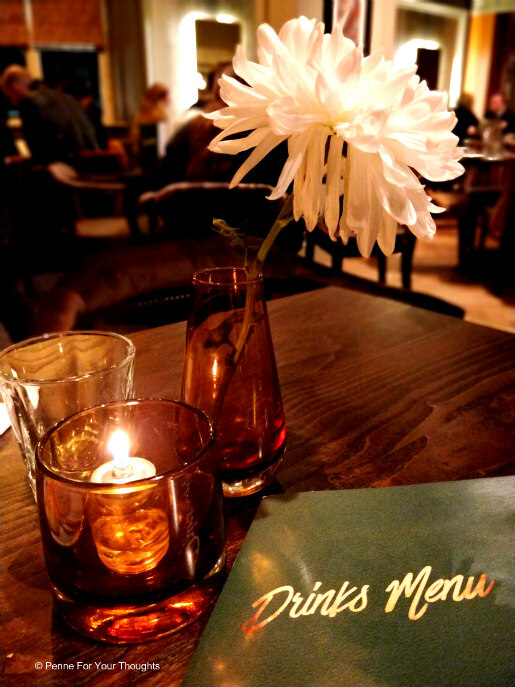 So on to the food - they offer a range of menus including a full vegan menu (with at least 3 options per course), as well as Sunday lunch and a la carte. 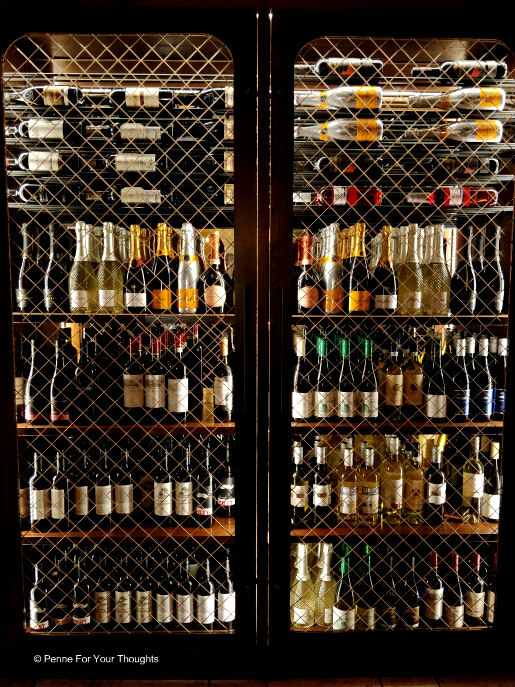 We went after work for dinner, so we had the full dinner menu to pick from, there was so much choice! There really is something for everyone. After a lot of deliberation we opted for the 'Carne Platter' to start which is a sharing platter comprising of fried chicken in a katsu sauce, lamb koftas, crispy sweet chilli beef, spiralised carrot salad and garlic flatbread. It was a generous portion and was perfect for the two of us (who like to eat!) - the standouts for us were the crispy sweet chilli beef and the fried chicken both being particularly delicious and the chicken being really well-cooked and not at all dry. However, the garlic flatbread definitely needed a lot more garlic on it. 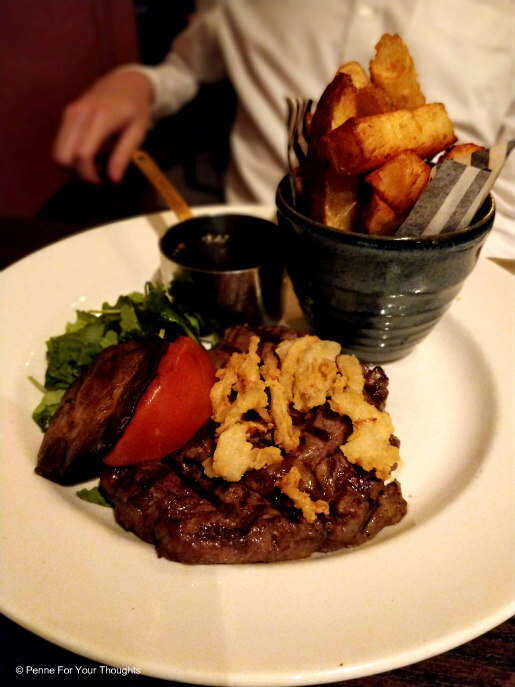 For mains Chris chose the 9oz rib-eye steak which came with twice-cooked chunky chips, crispy onions and the other usual stuff (mushroom, tomatoes etc. ), he also went for the beef dripping sauce which was seriously tasty especially with the crispy on the outside and fluffy on the inside chunky chips. The steak was also cooked perfectly to Chris' requirements (medium rare) which is always good. 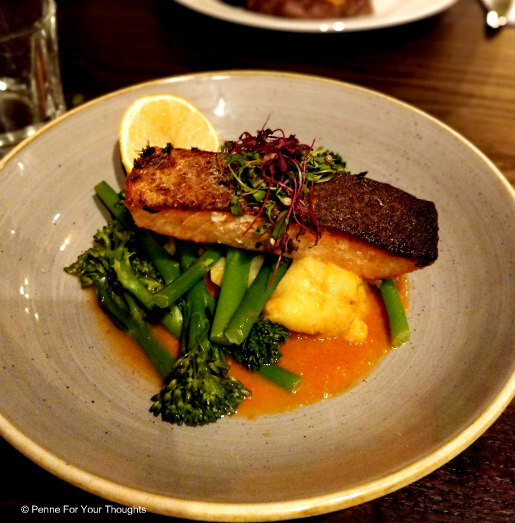 I went for the 'Seared Salmon Fillet' which was served with chorizo mash, tenderstem broccoli and bouillabaisse sauce - the salmon was cooked fantastically with a delicious crispy skin and the chorizo mash was excellent, not something I would have put together myself but can confirm it works wonderfully. 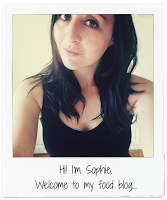 Now you'd think we'd be too full for dessert, but for the purpose of the blog we soldiered on. Chris went for their 'Hot drink and mini dessert' offering in which you can pick from any hot drink and a choice of a mini chocolate brownie, crumble or cheescake. Now when it says mini, they're actually really generous with this and the desserts are still decent portions so bare that in mind if you do opt for that. Chris went for the brownie and said it was (and I quote) 'decent but not as good as yours'. I do make good brownies though. I went for the showstopper 'Melting Chocolate and Peanut Bomb', but I have to say it was rather style over substance - they come to your table with a hot caramel sauce and pour it over so you see the chocolate bomb melt, which is very theatrical and cool but I was left disappointed with the taste, there was hardly any peanut butter cream in the middle. It was okay, but I wouldn't choose to have it again. 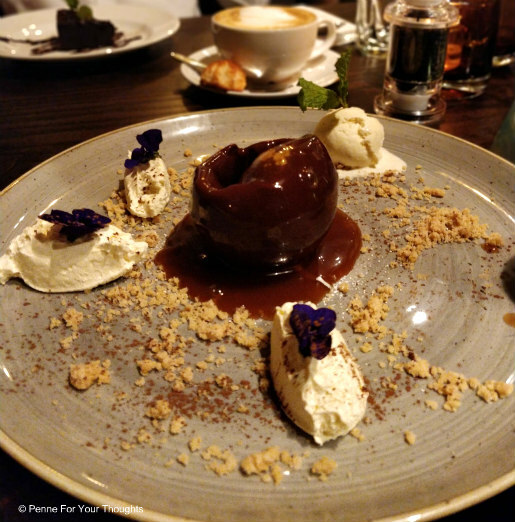 We really enjoyed our meal at The Green House, so much so that we've literally just got back from there as I type this, we went and had a Sunday roast after a walk round Sutton Park and it was delicious (went for sticky toffee pudding for dessert this time around, and oh my... it was SO GOOD). 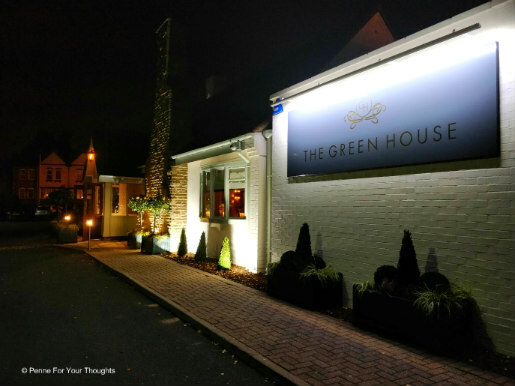 Have you been to try out the The Green House yet? Let me know your thoughts below or on social media. Disclaimer: My meal was complimentary but as always all opinions are my own, and 100% honest.